Not yet in use. But confirm seems OK and is well charged. A great battery and excellent service from Tayna. I first located my battery in Tanya's eBay listings. I subsequently contacted Tayna via ebay messages to establish the correct size and terminal locations. I then went to Tanya's web-Site and found the same product significantly cheaper which I found rather cheeky as they could have hinted to go to their web-site during our communications on eBay. Otherwise, no problems and I would recommend them. I doubt if this feedback will appear on Tanya's web-site!!! Thank you for your help and advice on this product it fits and works correctly, friendly helpful support staff thanks again. 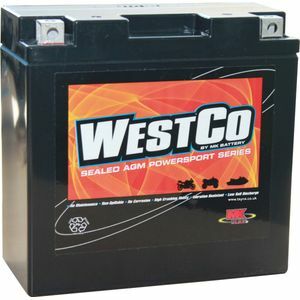 Ordered my new battery after the disappointment of my bike not starting at the weekend. It fitted easily, was fully charged already and fired up the bike immediately. What more could you ask? No problem with battery though disappointed had to wait 2 weeks as not in stock. Good battery. Noticeably more cranking power than the Varta it replaced. Straight swap fitment. Reasonably priced. The battery did the job fine, it did need a 5mm spacer to allow connections to be made to the terminals, this was due to way it was mounted in the bike and routing of battery cables. Came when promise,d physically identical to the existing so no issues fitting. Ask me again in a few years about the longevity, the battery taken out was 6 years old. Great service, and next day delivery. Battery turned up in a couple of days and was left with neighbours when I was out this time: unlike last time where it was promptly returned to Tayna. It works fine. Fantastic fast service. Very well packaged.